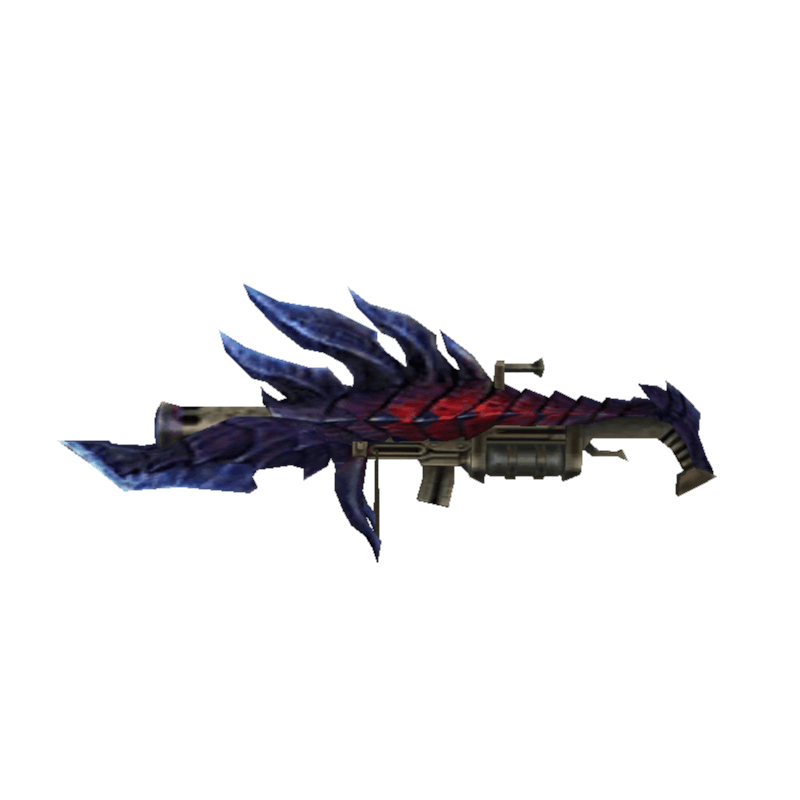 A Bowgun that has harnessed the scorching flames that come from the throat of a Glavenus. / The final evolution of the Burning Answer. It is designed to carpet the earth in crimson flames.